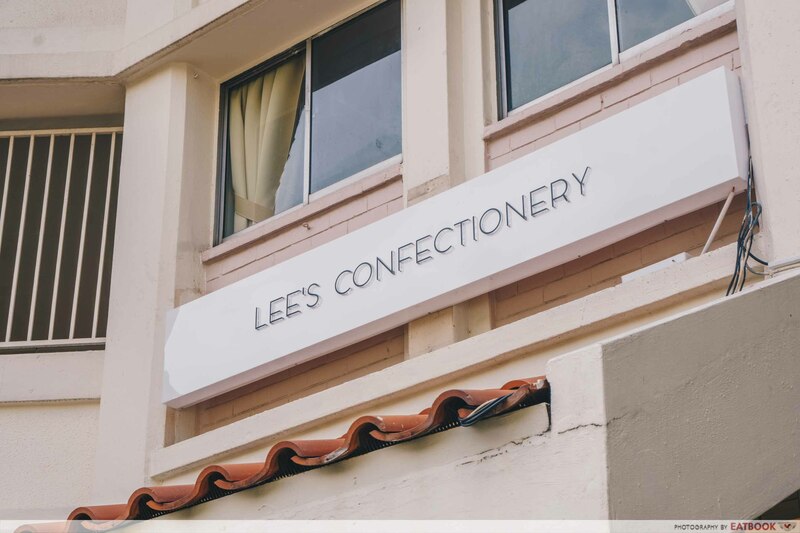 A one-man-show of a cafe nestled next to the entrance of a Jurong West HDB carpark, Lee’s Confectionery will pique the interest of any passerby. Enter and the intrigue continues – from its stark, all-white decor to a young dude hunched over behind the counter, painstakingly constructing pastries like a master potter sculpting a vase. 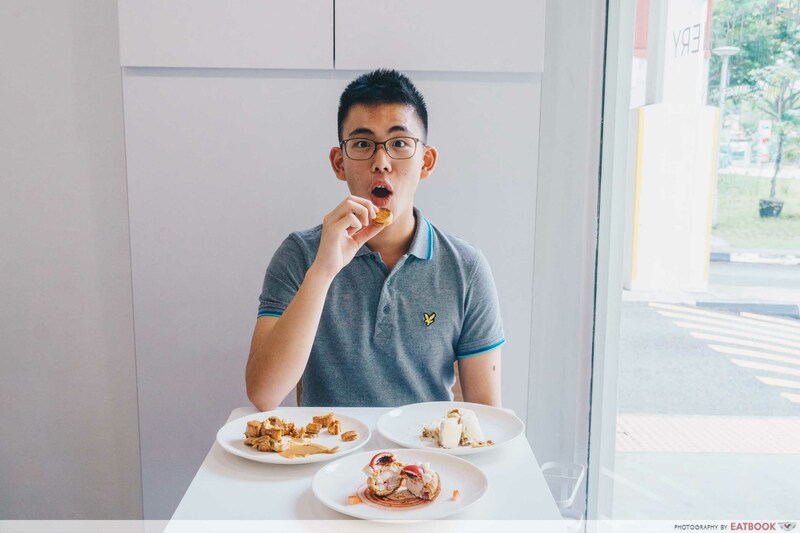 The eponymous “Lee” is Lee Yin Quan, a F&B professional on his first solo venture. 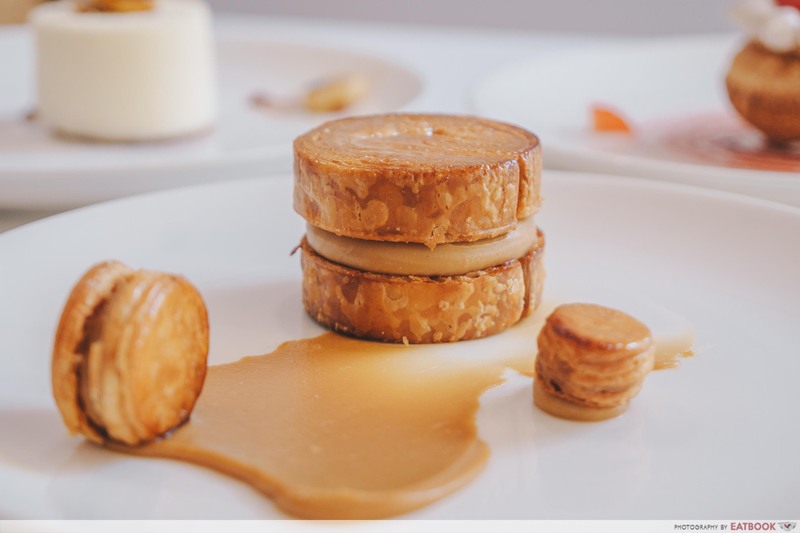 He spent a two-year stint in Paris, where he came under the tutelage of award-winning chef pâtissière Nina Métayer in the two Michelin starred-Restaurant Jean-François Piège, and famed chef pâtissier François Perret in Ritz Paris. 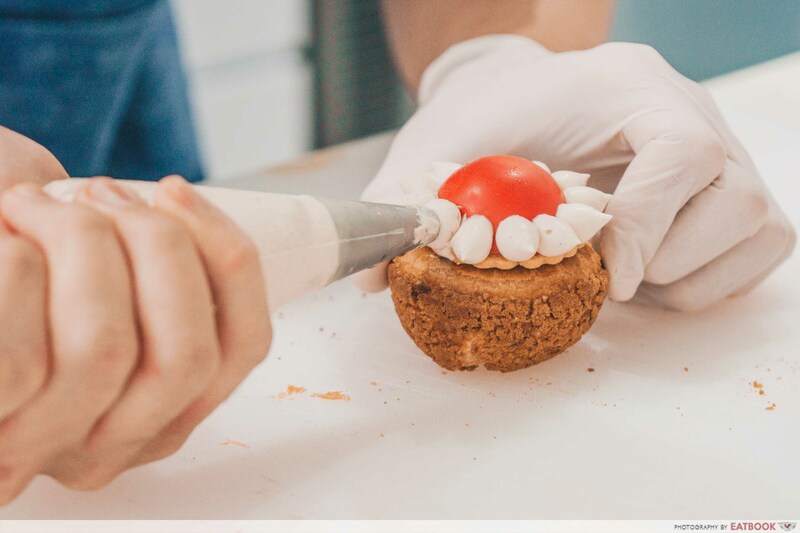 Wielding these experiences in haute pâtisseries, he intents on bringing elegant, quality pastries to the Jurong West area. His commitment to this goal shines through his work. Walk into most patisseries and you’ll see glass display cases presenting an abundance of the day’s selection. 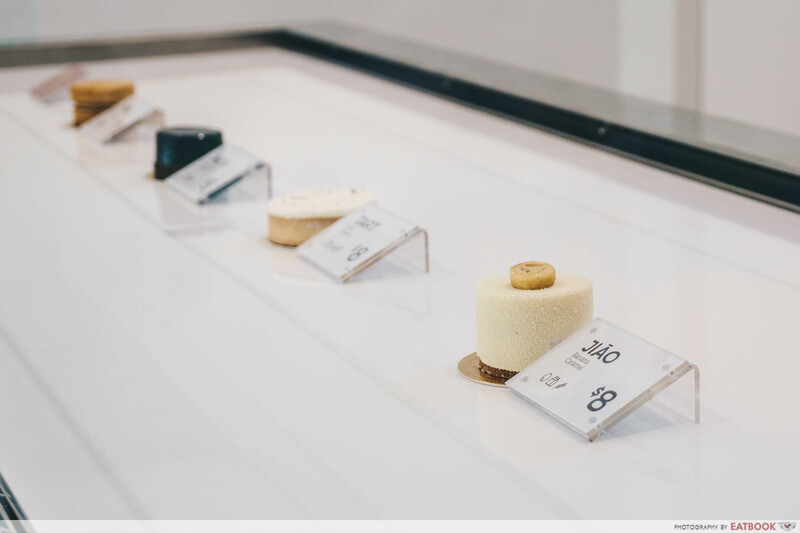 Walk into Lee’s Confectionery and you’ll immediately be taken aback by its minimalism, with just a single sample of each absurdly pretty pastry sitting in a white case. Rather than a sign of laziness, it’s actually the first hint at the amount of effort Lee puts into his pastries. While the minimalism certainly is aesthetic, it’s hardly Marie Kondo-inspired. 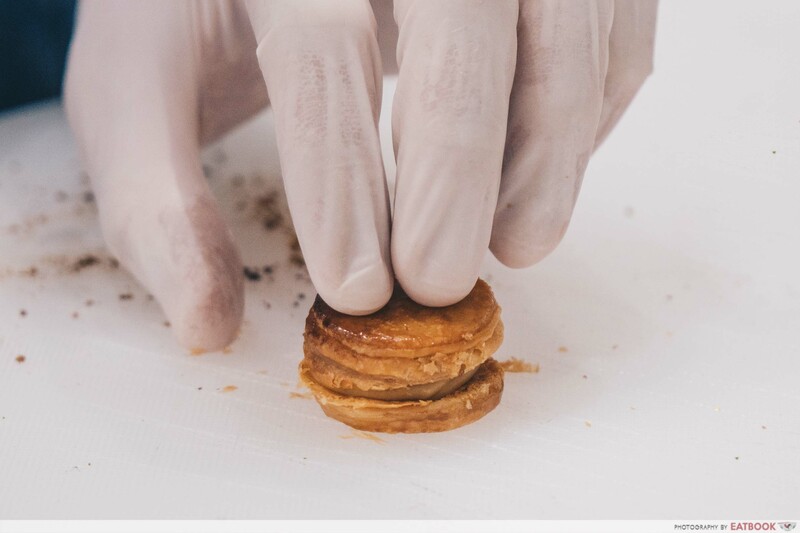 Instead of just sliding a complete pastry out of the case upon order, Lee whips out the components of each dish and assembles it – akin to a restaurant pastry chef. He does this to ensure quality; especially aiming to prevent the puff pastry-based desserts from losing their crunch. His extraordinary effort is evident at every point of the process. 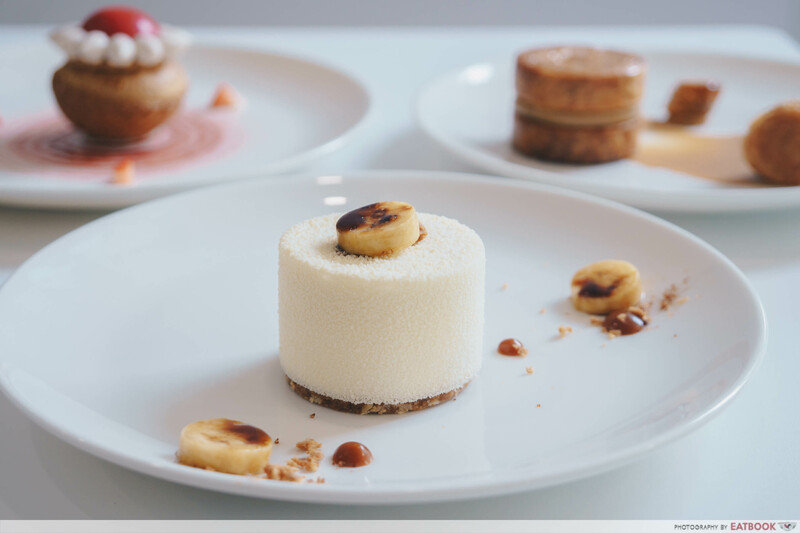 It’s in his meticulous plating; his provision of house-made caramelised cashews with every coffee, and even his use of chilled plates to keep the pastries in peak condition. And with every bite, you can taste the effort. Jiāo ($8) was our favourite creation of the day. 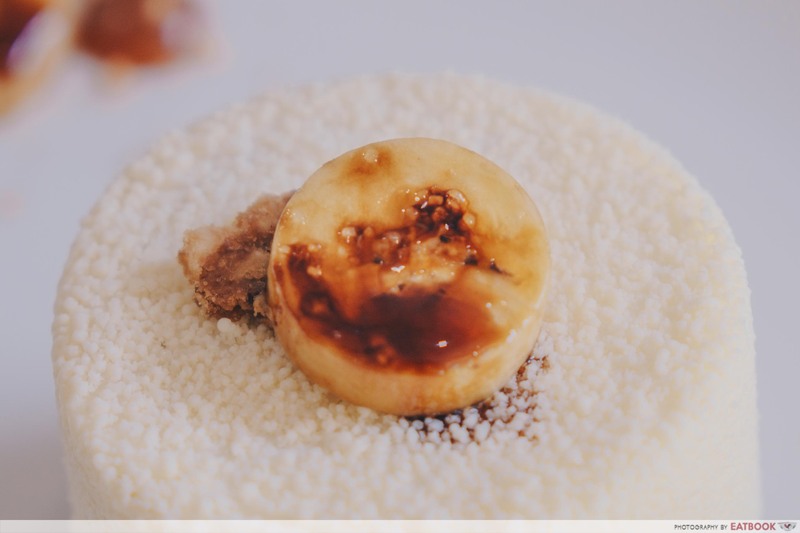 A banana extravaganza, this dish comprised banana sponge, injected with banana compote and mascarpone, seated on an oatmeal crust and sprayed with a film of white chocolate. Brown sugar-brȗléed bananas and dots of salted caramel then adorned the beautiful plate. The sponge was light and fluffy with a mild banana flavour, which peaked the intense and slightly tangy compote. 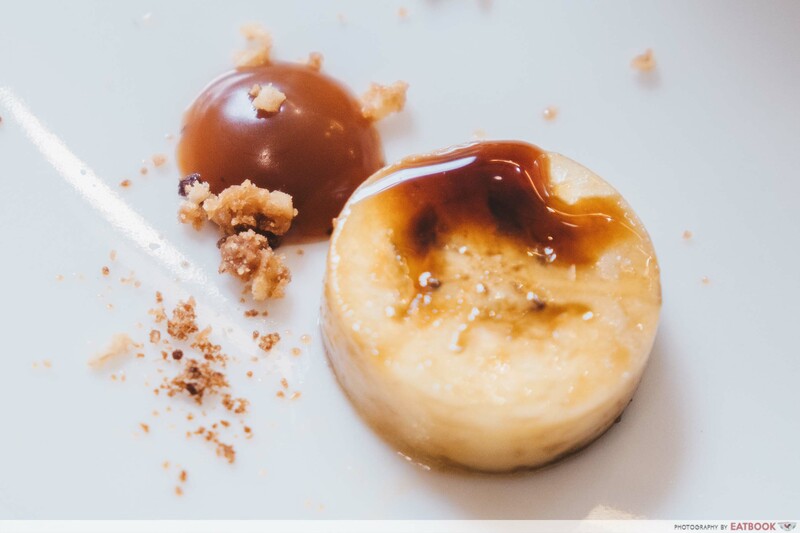 It was the dish’s highlight, flooding our palettes with potent banana flavour. Personally, I’m not a white chocolate fan because I think it’s too sugary rather than chocolatey. But it worked with the slightly tart compote as a contrast, giving a sweet creaminess to the dessert. 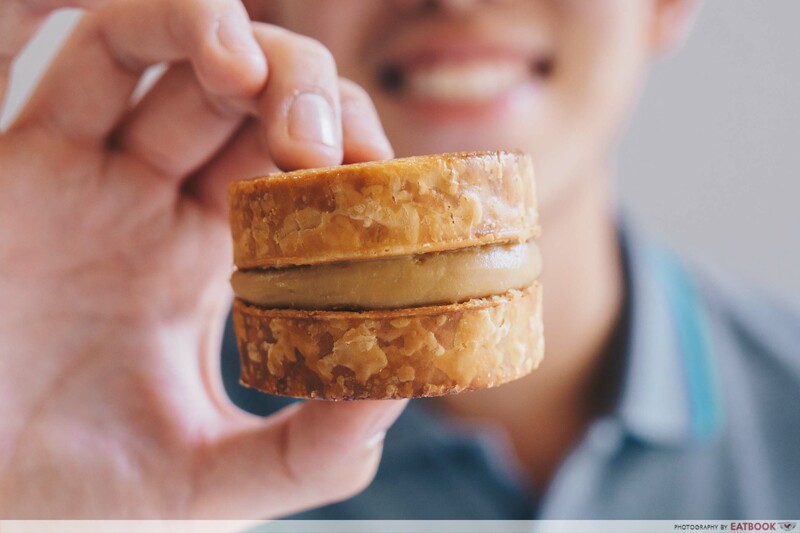 One component we wished there was more of was the dots of salted caramel, which added a new dimension to each bite. 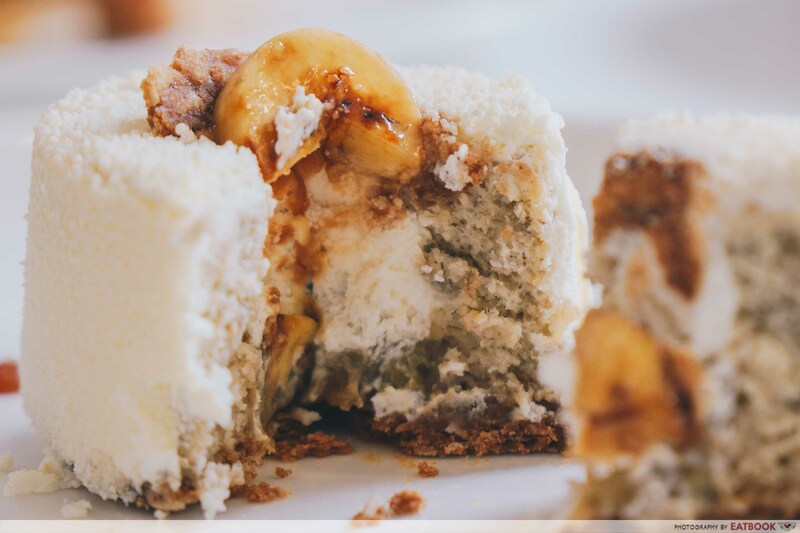 There was a good range of textures on the plate, with fluffy sponge, creamy banana and crunchy oatmeal base. But if we were to nitpick, the oatmeal base could have been slightly crisper. Perhaps puff pastry would have been a better choice, which leads on nicely to our next dish. 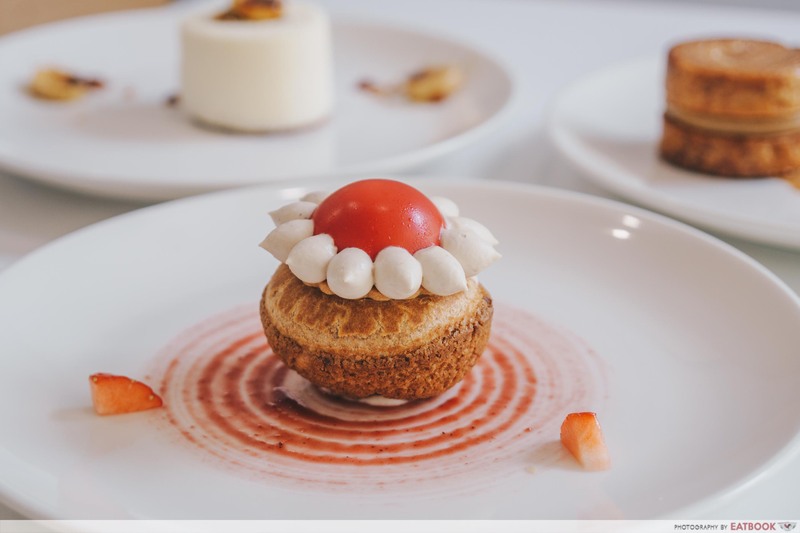 While it’s reminiscent of kaya toast, with two slabs of puff pastry sandwiching a thick layer of earl grey-infused kaya, Puff ($7) was actually birthed from Lee’s experience working in an ice-cream creamery. He accidentally dropped a scoop of kaya ice-cream into earl grey ice-cream, and fell in love with the rich combination, driving him to share that flavour profile with his customers. 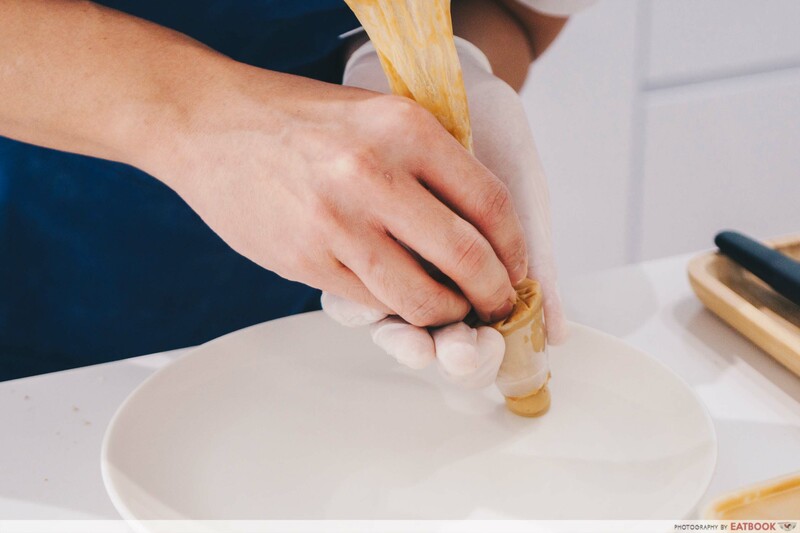 Lee cooks kaya with earl grey leaves, and the resulting ombre paste is rich and creamy – almost like a luxury moisturiser. I mean that in the best possible way. Flavour-wise, the characteristic pandan punch of kaya comes through stronger, with citrusy earl grey riding its coattails. While the earl grey was noticeable, I’d have liked it to be less subtle. 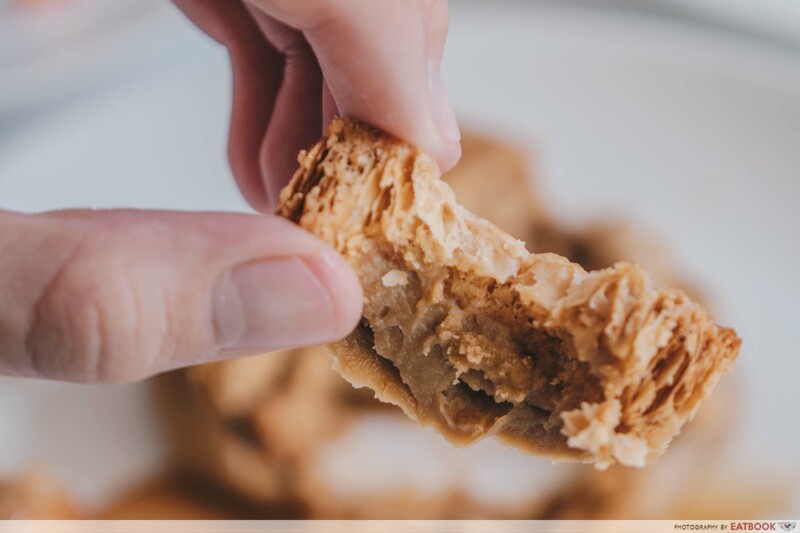 One of my pet peeves when eating pastries is when puff pastry sticks to and coats the nooks and crannies of my mouth, so I was skeptical by the thick chunk. But it impressed me the most, as it was dry, dense and flavourless – allowing the ice-cream to shine. The pastry was light and uber-crispy, shattering on contact and going down our throats easily. 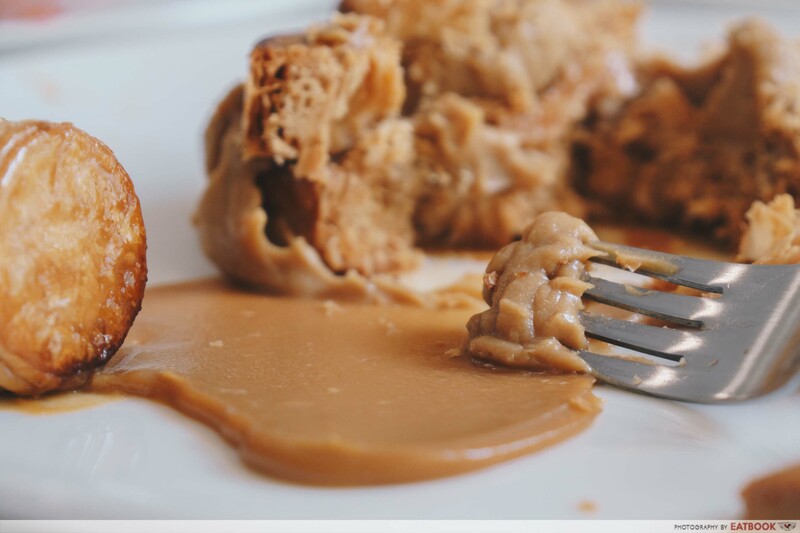 Crunchy pastry and a creamy filling is a fail-safe combination, and it works wonders here. Clearly, Lee’s effort to assemble each pastry on the spot didn’t go to waste. It also was tasty in its own right, with a layer of caramelised sugar providing both sweetness and a surprising smokiness. A nice touch was the extra serving of kaya and miniature puffs on the plate, perfect for popping into our mouths. Aesthetically, they were almost like ghetto macaroons or a separated stack of Russian dolls. Beri ($8) was the most complicated dessert we had here. 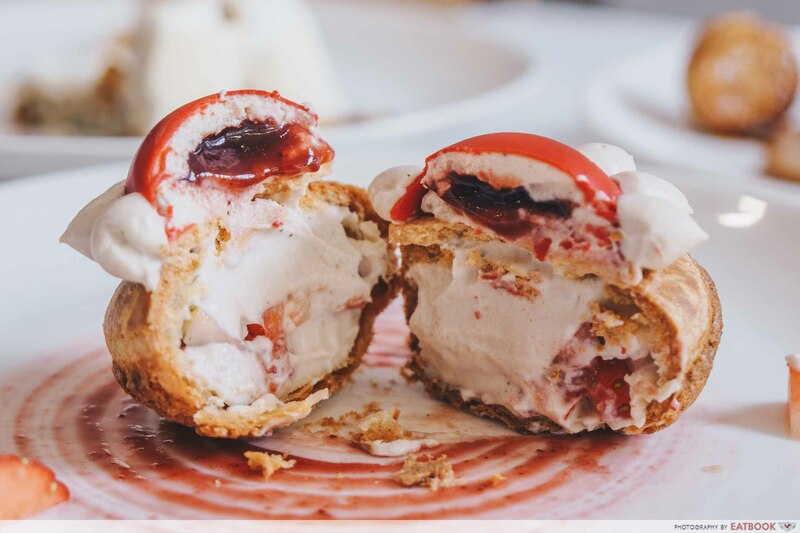 It contained choux pastry piped full of fresh Korean strawberries and berry tea-infused cream. 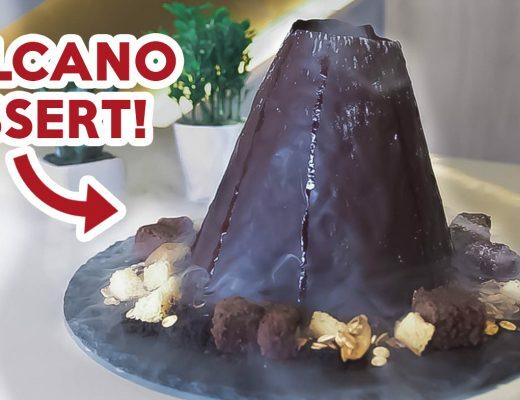 Thereafter, it is topped with a chewy sweet dough cookie and strawberry jam encased in white chocolate. 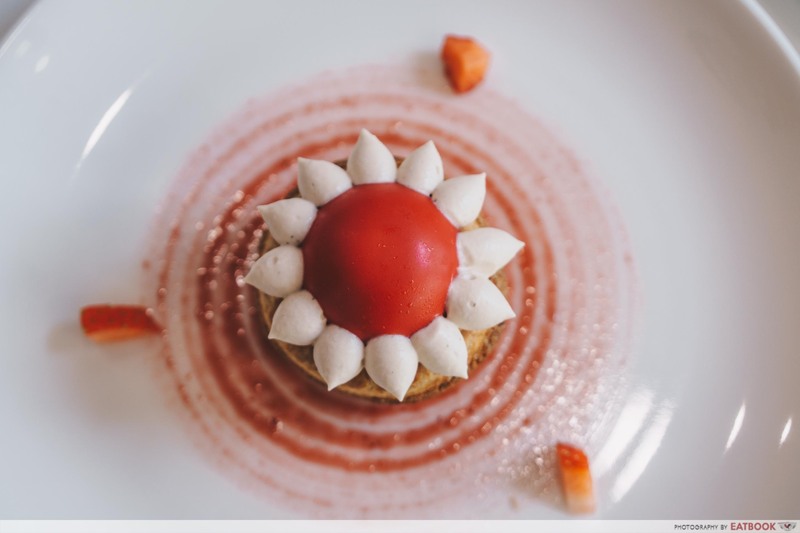 Much like Jiāo, the main ingredient was prominent throughout, with sweet strawberry flavour permeating every component of the dish. We liked how the strawberry came in so many different forms. There was the berry tea-infused, mascarpone cream cheese, fresh strawberries, and an explosion of concentrated strawberry flavour from the jam. All this made sure the dish never got boring. Another component we enjoyed was the choux, which had a surprising salty-sweet crust. Despite the salt in the dough, we felt that more contrast of flavours were needed, and a tart element would have been welcome. 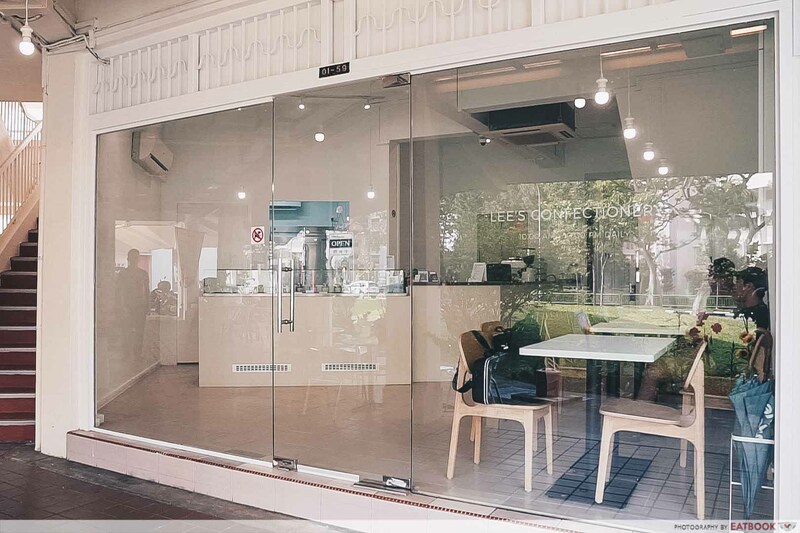 Exploring the surrounding HDB estates, you’ll find that coffee shops rather than aesthetic patisseries are ubiquitous in this area. 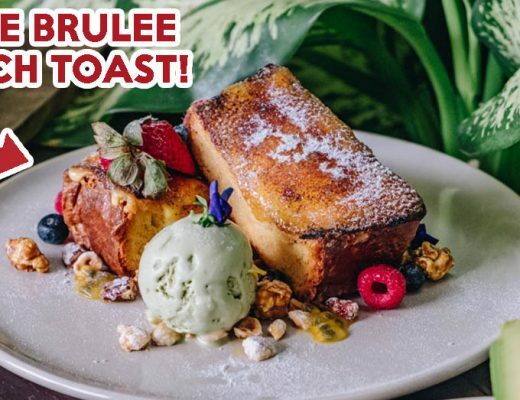 Its incongruous nature is perhaps an attraction in itself, catering to Jurong West residents longing for a cafe to snap IG-worthy pics. That said, it’s a 10-minute walk from Chinese Gardens MRT, and is not exactly the most accessible location for non-Westsiders. Inside, there’s a clear theme with the decor. It’s white. We’ve already mentioned the display case, but that white minimalistic motif is present throughout, with all-white furniture and bare walls. 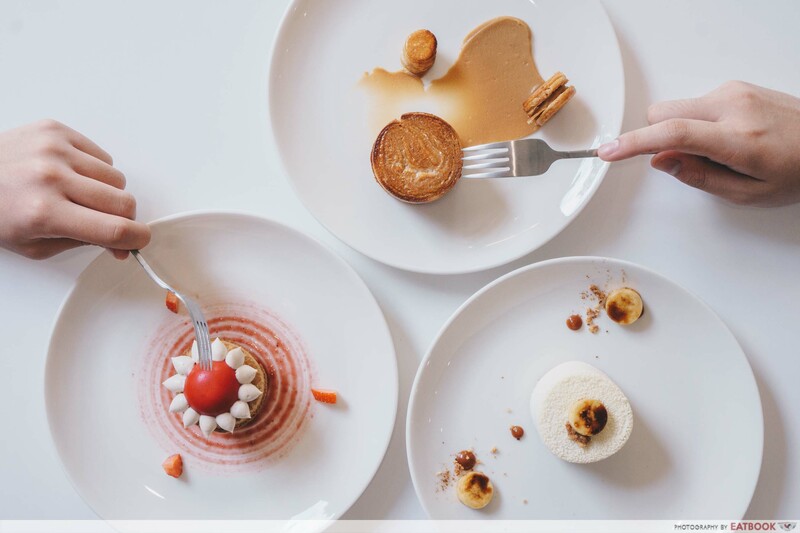 However, at $7 to $8 per pastry, we’re a bit doubtful if many heartland residents will be willing to fork out for these desserts. 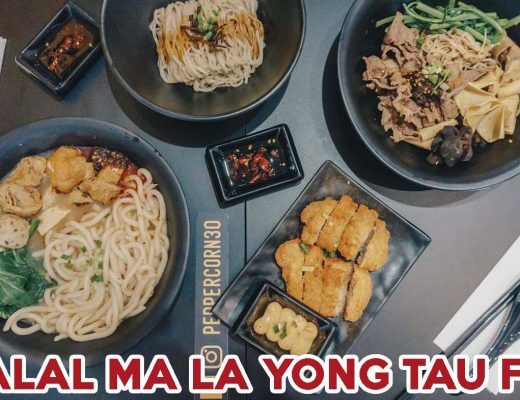 For more Jurong food gems, check out our articles on Jurong West Hawker Centre food and Jurong East food. If you want to visit more cafes in unexpected locations, look at our list of 10 ulu cafes! Photos taken by Rae Fung.